In a fast advancing digital world, mobile phones are fast becoming a necessity for all. There are myriad of functions that can be performed using mobile phones. In a modern world they now play an integral role in consumers’ day to day living. Almost every day new advances in technol­ogy are increasing the functions that mobile phones can be used for with newer mobile phones being marketed to consumers. But in an environment of constant up­grades and clever advertising, it can be dif­ficult for consumers to keep abreast of all the changes that are happening with mobile phones. As such, choosing the best mobile phone to suit your needs can be confusing. Further to this there are phones in the mar­ket that are extremely pricey. These phones are treated as investments by consumers willing to pay. This makes it more important that they are well versed with the functions and limita­tions of the mobile phone of their choices. Traders of mobile phones have a duty to in­form potential consumers of the capabilities of a phone and ensure that they are not sell­ing faulty or defective products. With mobile phone traders conducting road shows around the country to promote mobile handsets, it is important that full disclosure regarding phones is given to consumers. It is also important that traders provide a working model of the phones they sell in-store so as to give consumers a chance to view and test the specifications of the phone. They must ensure that the phones work as advertised. The Council was made aware of one mo­bile phone trader who did not provide model phones at a recent roadshow. Consumers in this instance were required to make pur­chases based on the packaging information only. While consumers did handle and test the phones at the time of purchase, they were not given the option to test the handset against other similar models prior to pur­chasing the item. Testing the phone prior to purchasing would have given the consumers an opportunity to decide which phone had features that suit their needs. Further to this, the consumers were ad­vised that if they faced issues with the phones later on, they could bring it to one of the trader outlets. This would again be a hassle for the con­sumer who would be forced to spend time and money in order to seek redress. The Council is of the view that display phones need to be provided, as it acts as a guide for the consumer to make an informed decision about their purchase. This will not only benefit the consumer by taking advan­tage of the deal, but mobile traders as well, who can maximise their earnings at road­shows and reduce consumer complaints. Consumers must not be misled by advertis­ing. Mobile phone traders must include any important conditions, limitations, qualifica­tions and restrictions when advertising mo­bile phones. Promotions that give overall impressions on price should not be qualified in the fine print of advertisements. The onus is on traders to ensure that they give consumers all information necessary in order to make an informed purchase. The Consumer Council has also received complaints where mobile phones are mar­keted as a certain brand when in fact they are made of generic parts which are of infe­rior quality. These counterfeit phones are then sold for prices similar to the genuine article. From August 2017 to July 2018, the Con­sumer Council has received 212 complaints worth $38,698. 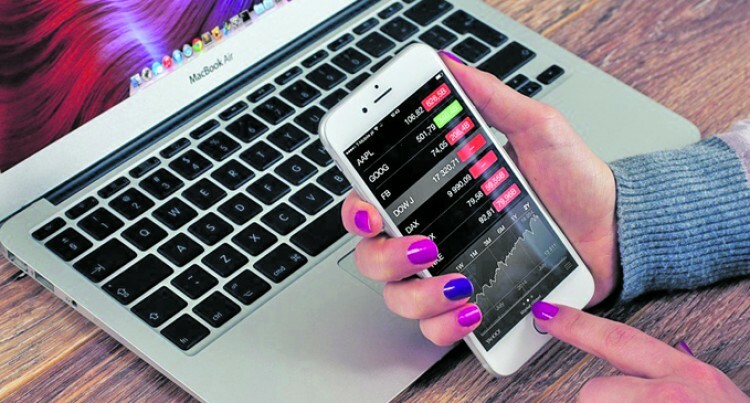 Complaints have ranged from phones with faulty volume buttons, phones that overheat and switch off, phones that have parts falling off less within 24 hours of purchase, warranties not being honored by mobile phone traders and phones malfunc­tioning soon after sale. The Council further advises consumers who may have issues with their mobile phones to contact the National Consumer Helpline on 155 to file a complaint or visit the Council of­fices on Level 5 Vanua House, Suva.